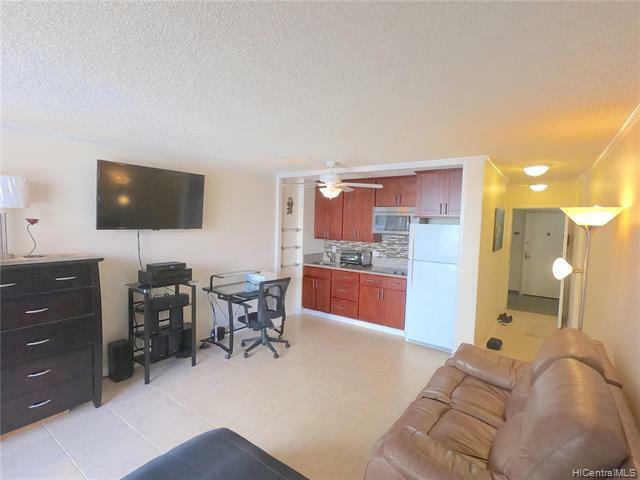 Completely Upgraded Studio Unit with one parking centrally located in Waikiki! Cool Trade winds Breezes and nice Mountain and Ala Wai Golf course views. 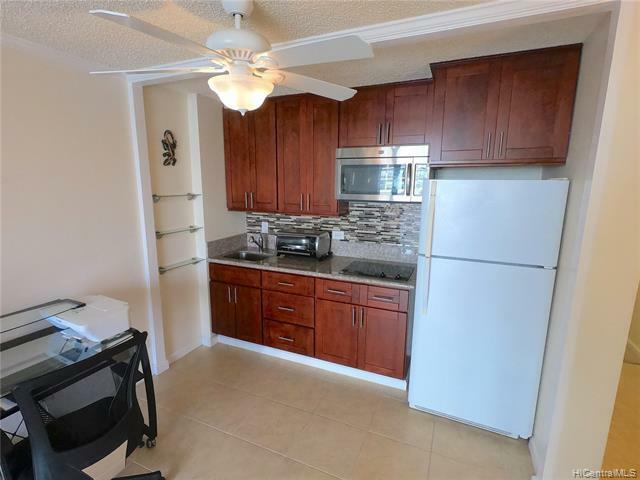 Washer and Dryer in the unit, new ceramic tile throughout, new appliances and this unit will be sold fully furnished! 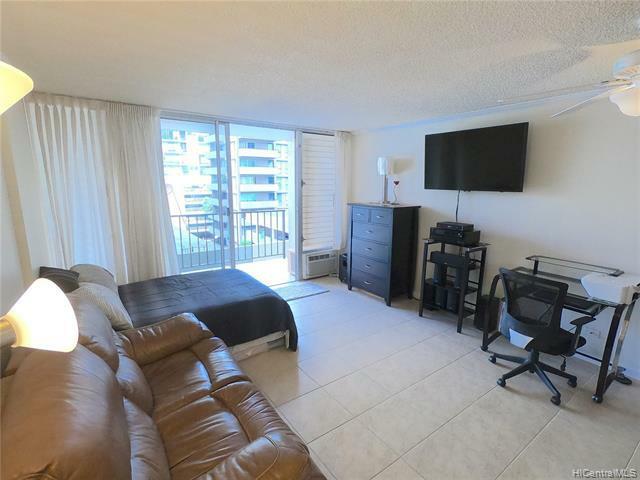 On-site resident manager, 24 hour security and steps to central Waikiki and the new International Market Place. 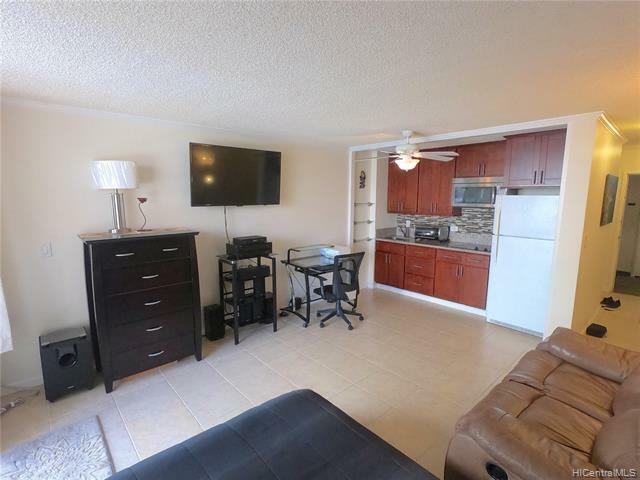 The rooftop deck features a large BBQ area, pool, hot tub as well as plenty of seating for guests and views of the Pacific Ocean, Mountains and Diamond Head. Easy to see, even on short notice.